You Thought The Cold War Was Over? Well, let's see if we can connect a few dots and dispute that notion. 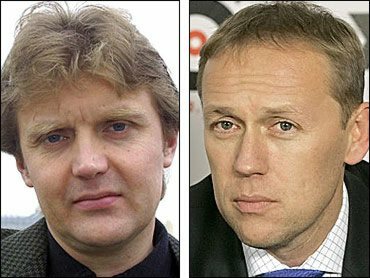 Prosecutors in Britain are quite convinced a former KGB agent named Andrei Lugovoi poisoned another former agent, Alexander Litvinenko, in London last year. The Brits want Lugavoi extradited so he can be tried for murder. The Russians says no can do. Litvenenko was critical of Russian President Vladimir Putin and supported others who questioned Putin's policies ... like crusading journalist Anna Politkovskaya, who was found shot last year. Journalists who don't toe the Putin line are routinely done away with, and free press in Russian has been practically silenced. Now comes news from Estonia, the former Soviet satellite and model of Internet efficiency, that its computer networks were literally attacked from an outside entity. The No. 1 suspect: Russia. I think I feel a chill.